Episode 25 - Steel Barrio: The Great Mexican Migration to South Chicago - yes, that's a neighborhood! When we think of Mexican communities, we think of Pilsen, Little Village, and in recent years, Albany Park. But who talks about the neighborhood of South Chicago? We chat with powerful Mijente member, immigrants rights activist, baseball mom, and vital member of our Chicago organizing community, Corina Pedraza Palominos! Corina talks about how the book Steel Barrio: The Great Mexican Migration to South Chicago from 1915-1940 by Michael Innis-Jiménez; an interesting topic of Mexican migration as our communities rapidly respond to the recent DACA decision, with Trump threatening deportation for over 800,000 DACAmented people. Steel Barrio is a beautiful documentation of how Mexicans migrated to the U.S. in search of a better life, enduring racist housing laws, police violence, and poor labor conditions. 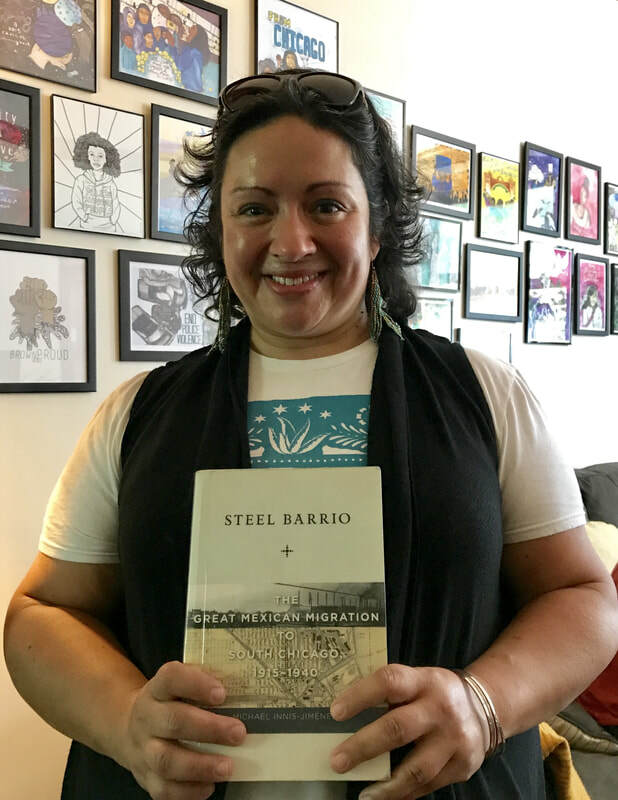 The book argues that the Mexican immigrant and Mexican American men and women who came to South Chicago created physical and imagined community not only to defend against the ever-present social, political, and economic harassment and discrimination, but to grow in a foreign, polluted environment. Tune in to hear Corina give us an important overview of this book, and why it's important for organizers to know our history! Why did Mexicans migrate to the neighborhood of South Chicago? How do public spaces, such as parks and libraries, play a role in community building and resistance? How did policing affect Mexican immigrants in South Chicago? Organized Communities Against Deportations - Comunidades Organizadas Contra las Deportaciones (OCAD) busca detener las deportaciones de nuestras comunidades a través de la movilización, la defensa y la educación. / Organized Communities Against Deportations (OCAD) seeks to stop deportations in our communities through mobilization, advocacy and education.